I was not one of those kids cooking with my mama in the kitchen. She was the “master chef” and the kitchen was her domain. And, it still is today. 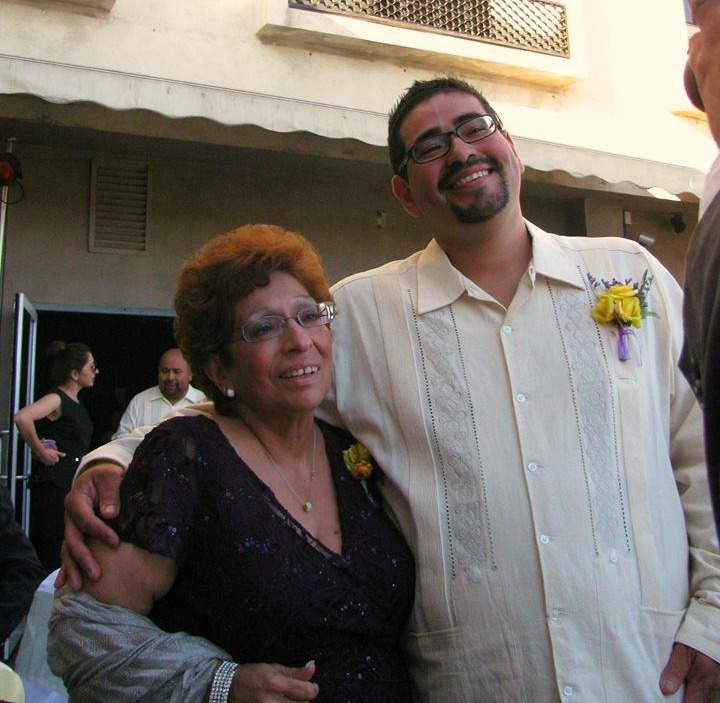 Like most boys growing up, I always enjoyed my mom’s cooking and stories (really it was family chisme). Many years later I find myself classically trained in French cuisine and technique, but I still call my mom to talk about chilaquiles or tepache just to hear the stories and to learn her technique. 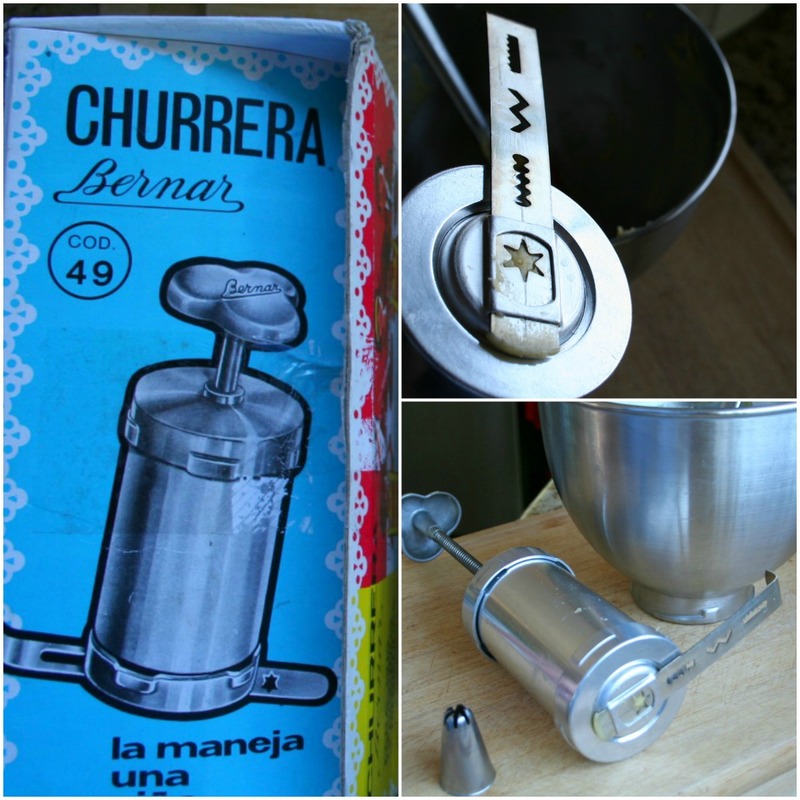 Realizing how much I love to make AND eat desserts, my mama found this amazing little contraption called a churrera at a flea market in Colorado, knowing it would be one of my favorite toys. We’ve never make churros together, but every time I make a batch I use this churrera and I think of my mama, especially this time of year as her birthday is Oct. 21. HAPPY BIRTHDAY MAMA!! With the holidays almost here, my household is busy, but never too busy for some churros. With my ingredients at hand, I made traditional (*see note below) churros as well as these Mexican chocolate churros. If you don’t have a churrera, you can still make this recipe with a pastry bag fitted with a large star tip. 1. Combine the sugar, 1 tablespoon cinnamon and 2 tablespoons Mexican chocolate for dusting in a shallow baking dish and reserve. 2. Sift together the flour and remaining ground cinnamon and Mexican chocolate. Reserve. 3. In a medium saucepan, combine the vanilla, salt, water, cinnamon stick and butter. Set over medium-high heat and allow to boil for 3 minutes before removing from the heat and discarding the cinnamon stick. 4. Quickly add the sifted flour mixture to the saucepan all at once, stirring vigorously until the mixture pulls away from the pan and forms a smooth paste. 5. In the meantime, begin heating the oil over medium-high heat. 6. In a stand mixer, beat the dough paste with the paddle attachments for about 2 minutes, allowing it to cool slightly. 7. Beat in the egg until fully incorporated. Then place it in a pastry bag fitted with a large star tip, or put in a cookie press with a star shaped fluted opening. 8. Check your oil with a candy thermometer. Once the oil is at 350°F, begin carefully piping your dough, about 4-6 inches long, into the oil by squeezing out the dough a few inches above the hot oil. Use a butter knife to free the dough from the pastry bag. Turn occasionally to promote even browning. 9. Repeat piping into the hot oil but be careful not to over crowd your pan. 10. Carefully remove the churros from the oil when they are golden brown and allow to drain briefly on paper towels before dusting or rolling them in the reserved cinnamon-sugar. Serve warm with chocolate sauce and coffee. 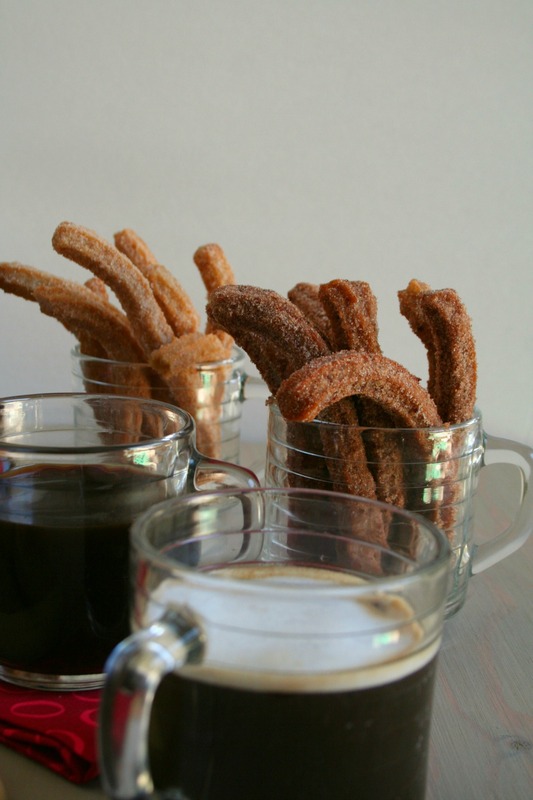 *To make traditional churros, simply omit the Mexican chocolate.